In cities like Cotonou, drop-outs in both schools and colleges are 28%. Lack of care, prostitution and juvenile delinquency are frequent. 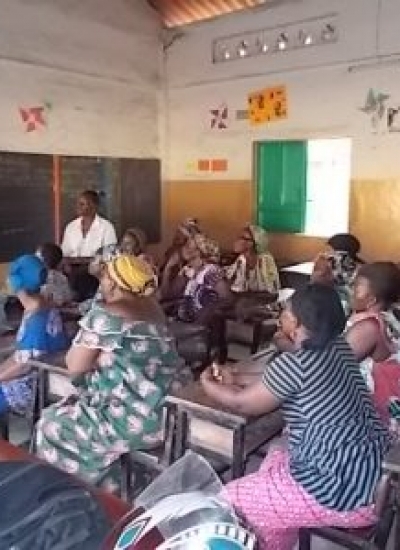 The PRH team in Cotonou wants to help reverse this situation through a new initiative. On Wednesday afternoons and Saturday mornings they will organize extracurricular activities where they will follow up children and young people between the ages of 8 and 15 in terms of their homework and personal development. These activities are about motivating them, making them stronger and more resilient as well as stimulating their interest and sense of responsibility. 1800 children and adolescents from and around Cotonou will be invited. The recruitment of supervisors will be carried out in consultation with the directors of the establishment and the CPS (Centers for Social Promotion). The supervisors will benefit themselves from adapted training: supervision of students’ work, group work, psychological help in the event of sexual harassment, parent / guardian negligence, puberty crisis, etc. PRH plays an important role in this training. Supervisors go through a 3-year training plan with different PRH courses. With the session ‘Who am I?’, For example, they discover and develop their own abilities and strengths. They will learn how to accompany these young people in their specific needs so that they feel recognized and valued. They will also be introduced to the knowledge of the principles of helpingrelationship so that they can offer an appropiate help to these vulnerable children.